Bad breath, stained teeth and fingers. *Source: Cancer Research UK (cancerresearchuk.org) and No Smoking Day (nosmokingday.org.uk), accessed November, 2009. Free yourself from the dangerous mix of more than 4,000 health destroying chemicals with the most simple, safe and natural way to quit smoking — hypnosis. Advanced hypnosis techniques have been proven in research to be more effective than any other stop smoking treatment. The good news is that your body is very resilient and starts repairing the damage as soon as you stop smoking. Over time, the body can recover and risk of disease as similar to that of a non-smoker. If you are committed and ready to quit smoking, you could stop within just one advanced hypnosis session. Are you ready to save your health (and your life) and become an ex-smoker? 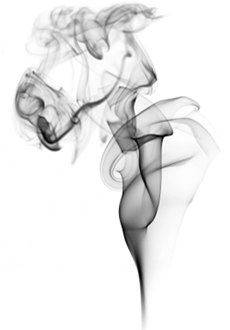 If you would like to find more about quitting smoking with hypnosis or to book your ‘Stop Smoking in One Hour’ treatment, contact Katie Glen on 020 8712 5981 today.